This post details how I have moved my YouTube account and channel from my personal Google Account connected to my “Deja Vu Guides” profile. I am writing this guide as I was digging around on YouTube and it took me a while to find the steps to set this up. Why do I want to use a different name on YouTube? 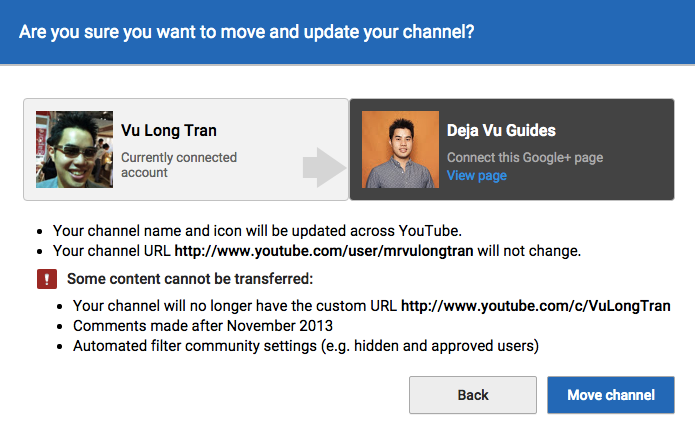 I am going through a rebranding exercise, bringing personal YouTube channel, “Vu Long Tran” to my new brand, “Deja Vu Guides”, so that I can create a website and social media channels to focus on my How To Guides that I love creating and writing. That way there is less confusion over my tech guides via my personal experience and storytelling, etc. 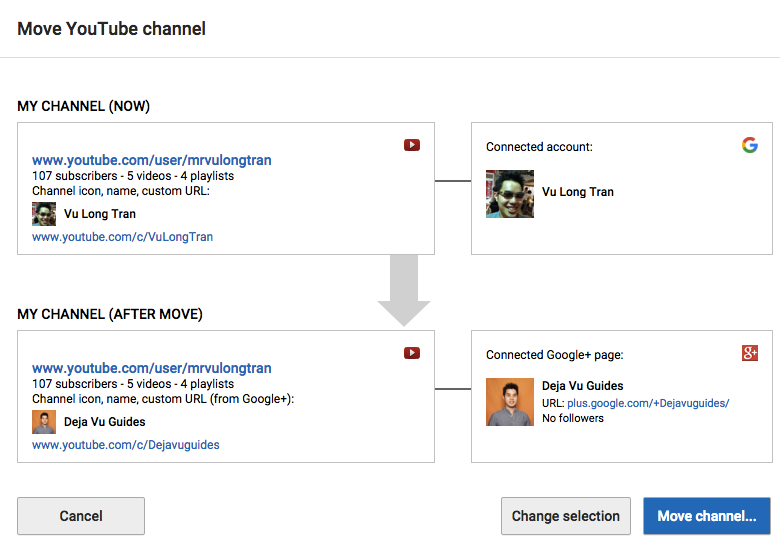 Here’s the process that I went through to set “Deja Vu Guides” as my YouTube profile. Go to your account settings and click Confirm your name on YouTube. 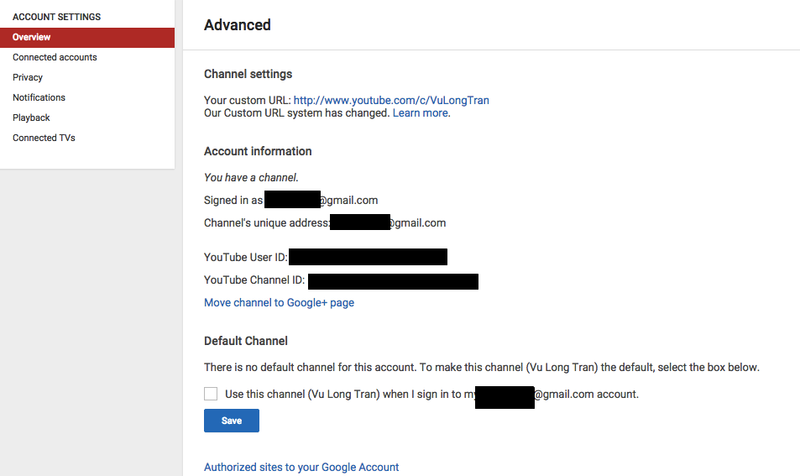 Right now, you can select a variety of Google and YouTube accounts to associate a YouTube account for (as you’ll see in the screenshot below). 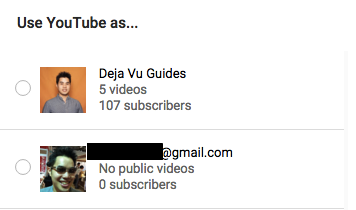 As I have one already, I am going to use my “Deja Vu Guides” my Google+ page. In Advanced Account settings you should see an option to “Move channel to Google+ page”. 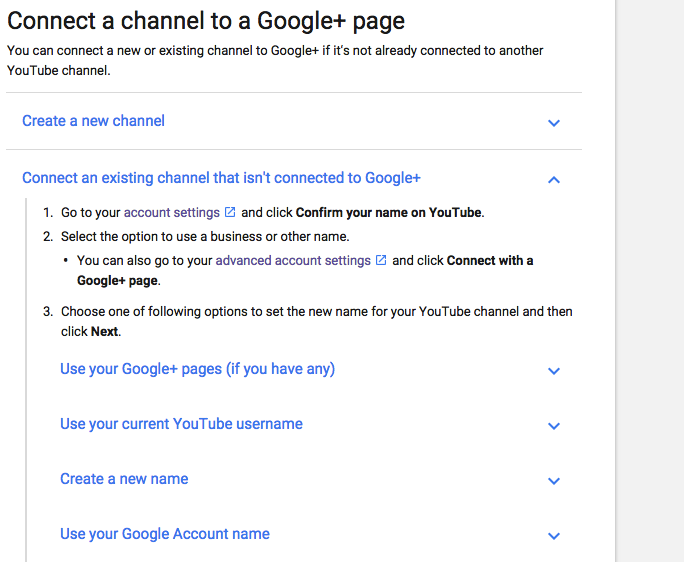 Select Google+ page to move your YouTube channel to. This will Google+ page will now be associated with that channel. Google is great in that it’ll show you an example with flowcharts on what it can look like. Log in using your Google+ page. You might need to wait a bit for the changes to be made. Mine changed in about 30 minutes.